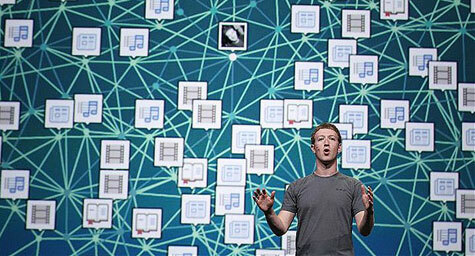 At yesterday’s highly anticipated Annual Facebook f8 Developers Conference, Facebook CEO Mark Zuckerberg announced a number of exciting changes for the social media network. 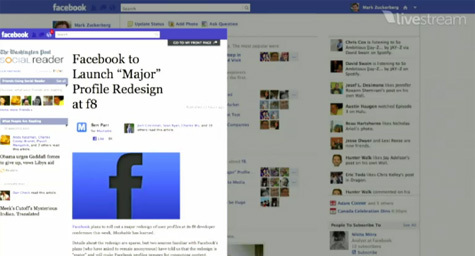 Allfacebook.com reported on the latest features for Facebook users and developers. The biggest news is a new profile design called Timeline, which will represent your life story in a single page. Timeline will allow users to chronicle their lives on a linear graph, using blue dots to mark important events and gray dots to represent minor ones. In the new profile layout, your friends will be able to look back on all of your past activity while bringing activity from the most recent years to the forefront. While Facebook will automatically decide which stories should be featured, your timeline will be completely customizable and can be easily changed. Facebook will also introduce a new class of integrated, social apps that will allow users to share app-related activities directly in their Timelines. The majority of these apps will be suited to lifestyle activities, such as sharing fitness records, dining experiences, good books, and new music. Another new feature called Ticker will show you what your friends are doing in real-time in a box to the right of the News Feed. The Ticker will display more minor updates such as new friendships, comments, and likes. More important activities will appear in the News Feed, which combines the Top News and Most Recent sections, and positions the most important stories at the top, marking them with blue triangles. For those who think Ticker is invasive, there are special adjustable settings that will protect your privacy. 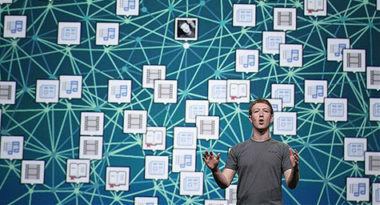 One of Mark Zuckerberg’s main goals with these Facebook changes is to create “serendipitous experiences.” These will let users simultaneously discover the movies, TV, music, and other things that their friends are enjoying at that moment and allow them to be experienced without having to leave the Facebook page. For instance, the song a friend is listening to will appear in your Ticker and give you the opportunity to listen in. Another example is the movie you’re watching will show up in your News Feed and give your friends the option to start watching it, too. It’s all about creating more connected, open, and social experiences through the power of Facebook. With so many big changes made to Facebook’s well-liked features and formats, it will be interesting to see how users embrace these major modifications and how businesses will leverage these new opportunities for social media marketing and advertising. For now, this is the new face of Facebook, and social media will never look the same. Check out MDG’s “The ROI of Social Media” Infographic.